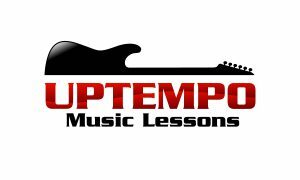 By fearzero General Music Lessons, Guitar Lessons Mar 27, 2019 No Comments on How To Play Quarter Note Triplets Perfectly! Hey everyone, today we are tackling quarter note triplets. Whenever a new student hears this particular rhythmic grouping they seem to be baffled by its complexity. Some people feel their way through it, others have a really difficult time mastering exactly what this rhythm sounds like. If you are one of the latter, I am going to demystify these babies right now for you. I remember a few music teachers I went to trying to explain the quarter note triplet as a dotted 8th note with a 16th. That kinda works, but it really does not explain fully what is going on. Now if we want to tap out what a quarter note triplet is, we count out loud and tap only on the notes NOT in brackets. That is it. Tap on 1, 3, and 5 and you have a quarter note triplet. The end goal would be to also tap the quarter notes with the other hand. Those are found on beats 1 and 4 respectively. Below I have the tab for a section of “Love Me Two Times” by the Doors as an example of quarter note triplets. Follow along in the tab to see how to count this. Video is also below. Anyway, I hope you enjoy this lesson including video and I will catch you next time!